There’s a new, progressive way to enhance your customers’ experience: the multi-channel contact center. An ideal contact center is one that effectively routes calls, looks deeper into data analytics, and efficiently manages its workforce. A multi-channel contact center does all of this while also significantly improving customer experience. What does multi-channel mean for you? You can now not only see which customers contacted your organization, you can also see which of those customers convert to qualified leads, and then to opportunities, and so on – capturing the entire customer experience in one holistic view. This innovative visibility will help you determine decisions around product selection, marketing promotions, and the metrics that drive the bottom-line. Perhaps there are new products that can close the gap of qualified customers or you can identify new touchpoints to prompt a higher percentage of qualified leads that become actual customers. Recent research suggests that customers like to use their preferred method to communicate with contact center agents – calls, text/SMS, email, web chat, web callback, and social media. In fact, according to Gartner, by 2020, 85% of customers’ relationships with businesses are going to be in the digital space without interacting with a human. Evolve IP’s multi-channel contact center will help your company prepare for this shift in customer interaction. 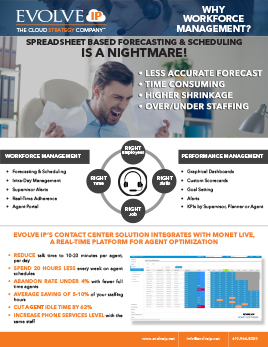 Evolve IP’s multi-channel contact center provides organizations with a sophisticated, cloud-based service that delivers real business value. To help your business reach its customer base, Evolve IP offers a variety of popular communication channels including SMS, Multi-Channel CRM & History, Voice Inbound and Outbound, Web Chat, Email, Web Callback, Social Feeds, Automated Outbound/Dialer, Fax as Email, and Voicemail. 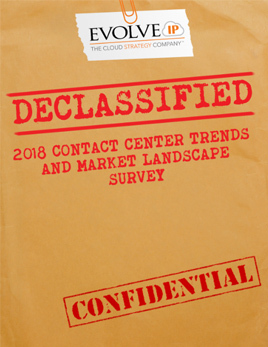 Evolve IP’s recently conducted 2017 Contact Center Trends & Market Landscape Survey gives insight into multi-channel contact centers among other research results. 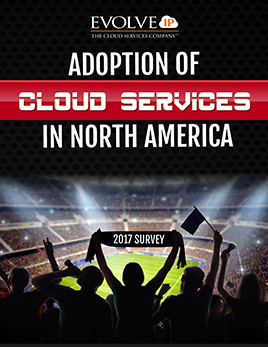 The Survey looked at 144 Contact Centers across North America to uncover trends and challenges they face. The results showed that as millennials and Generation ‘Z’ force organizations to communicate electronically, multi-channel contact centers are becoming more necessary and applicable. 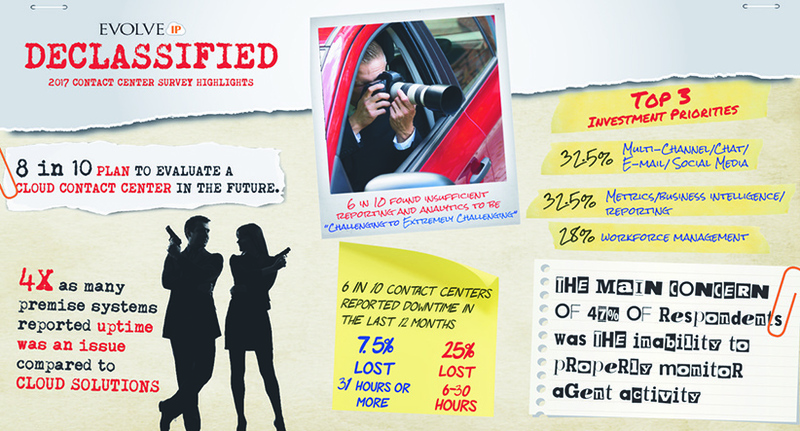 In fact, the majority of respondents (just over 61%) now have the solution in place, and the number is expected to grow. Results also showed that Multi-Channel/Chat/Email/Social Media tied for the top priority investment for 2017. 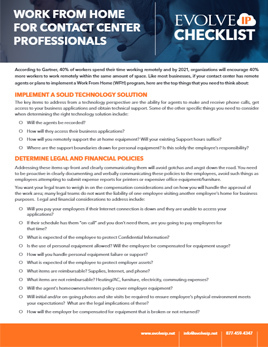 Check out Evolve IP’s 2017 Contact Center Trends & Market Landscape Survey here!